As a young girl, I remember that my family went on outings to visit the California Missions. It must have been held a special meaning for my parents because whenever we had family or friends visiting from the Philippines, the Missions were on top of the list. 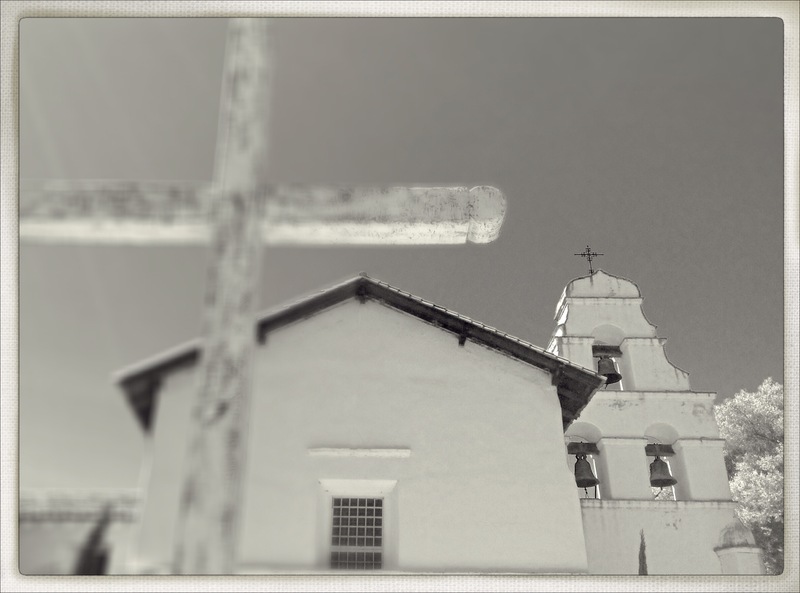 This one is Mission San Juan Bautista, the 15th of the California Missions and was founded in 1797. Camera: iPodTouch5 Apps: Snapseed to convert to black and white, PhotoToaster filter and frame.